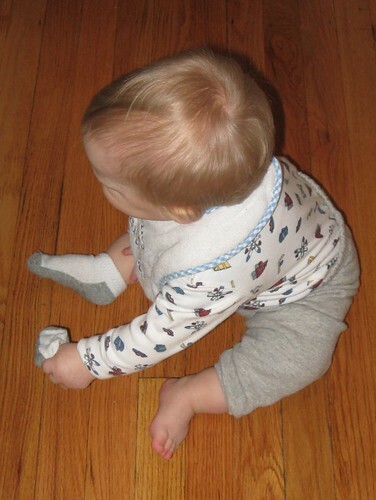 Wordless Wednesday – Socks . . . the new white meat! P.S. JSL’s new word is sock. Shocking isn’t it?!?! Great shots. What a cutie. Happy WW. 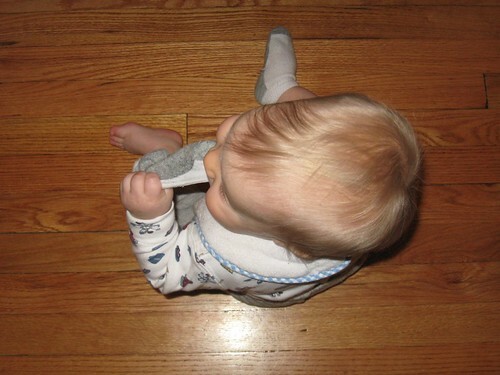 My daughter is ALWAYS pulling her socks off and chewing them. Thank goodness it’s getting warm now, I let her go barefoot soon! he is so cute. a beautiful baby you got there. you did an awesome job taking those pictures. have a great day! How adorable! 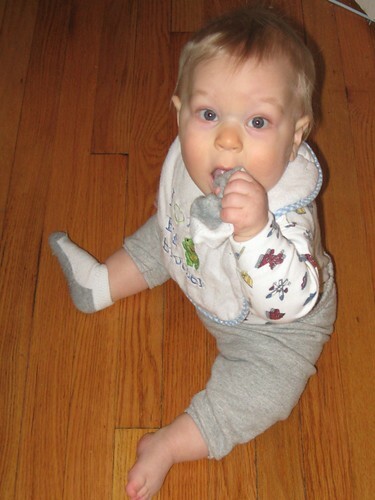 My grandson is always taking his socks off but he doesn’t try to eat them. That’s too cute. Why do they love to eat the socks? Oh yeah, they will put ANYTHING in their mouth. THese are cute pics!